The global award winning, practitioner-led forum driving positive change in the financial system. 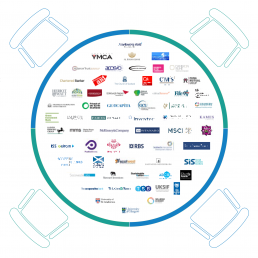 Since 2010 our round table have been attended by over 300 participants, representing around 60 organisations from across the globe. We work hard to ensure we get the topics and speakers just right. If we are successful, good people become regulars and regulars tell others. We have taken the decision to retain the round table format which limits the capacity so we always encourage early registration. Dr Robbie Mochrie, Associate Professor of Economics, Heriot Watt University.